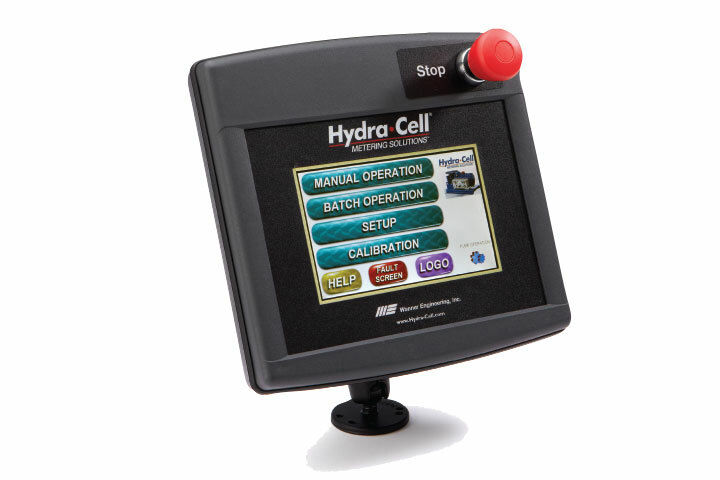 Hydra-Cell Touch Screen Controller - BBC Pump and Equipment Company, Inc. This simple, yet feature-rich, controller can be used with either Hydra-Cell or Hydra-Cell metering pumps and allows users to set flow rates, create batches, calibrate for accuracy, monitor oil temperature, and more through a color, touch screen and included I/O module and VFD. The Control Freak also includes inputs and outputs for communication with other system equipment and eliminates the complicated programming required for many controllers.